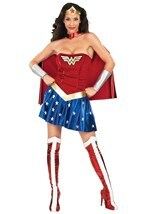 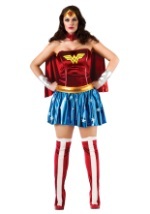 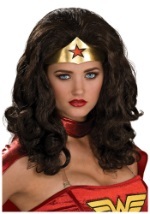 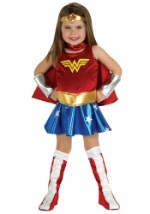 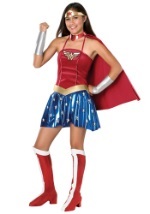 When you wear this Wonder Woman Modern Costume, you'll be the sexiest member of the Justice League! 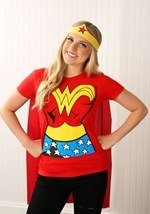 It starts out with a red poly interlock knit tank-style top with spaghetti straps, gold trim and the Wonder Woman symbol screenprinted on the front. 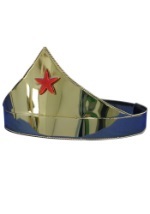 The blue poly interlock bolero has foam epaulets that have screenprinted stars on them. 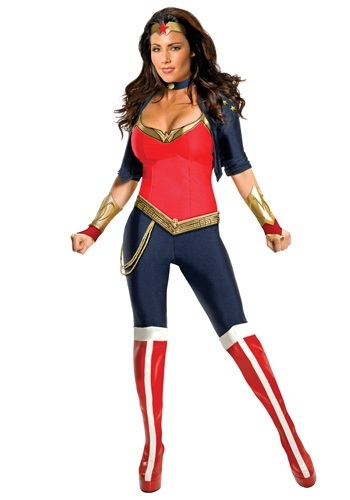 The elastic-waist pants are made of the same blue interlock as the bolero. 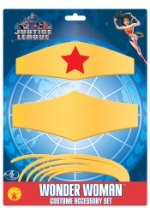 The fabric choker has the gold Wonder Woman emblem on the front, and fastens with Velcro™ at the back. 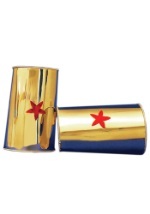 The polyfoam headpiece has a red star on the front, and also fastens with Velcro™ at the back. 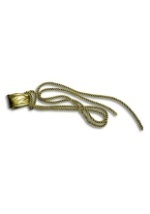 The shiny gold polyfoam belt has screenprinted details including star symbols, and has a shiny lasso attached. 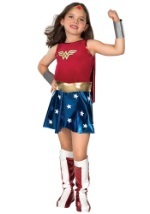 The gauntlets are polyfoam and stretch around the thumb. 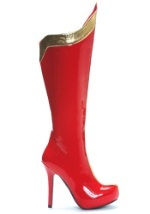 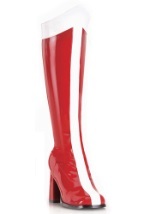 Add red superhero boots to complete your look!